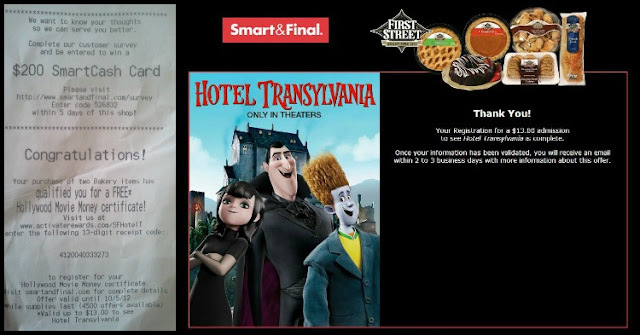 I was chosen to throw a Hotel Transylvania party and to go shopping at Smart & Final to purchase at least two First Street bakery items. If you purchase 2 First Street bakery items from now until October 2nd you will receive a code on your receipt, when you redeem that code you will get a free ticket to the movie Hotel Transylvania. Being picked to do a Hotel Transylvania party I was so excited and full of ideas. Oh how life like's to get in the way of things!! Unfortunately my ideas were not possible. I had planned on making little "shampoo & conditioner" bottles filled with gooey candy and wrapping small bars of chocolate with "soap" wrappers. I wanted to go with a hotel theme all the way. Then my printer stopped working and Smart & Final doesn't carry small bottles or the right size of chocolate or any other candy that would work for soap. I didn't let it get me down though. I went into Smart & Final ready to shop! 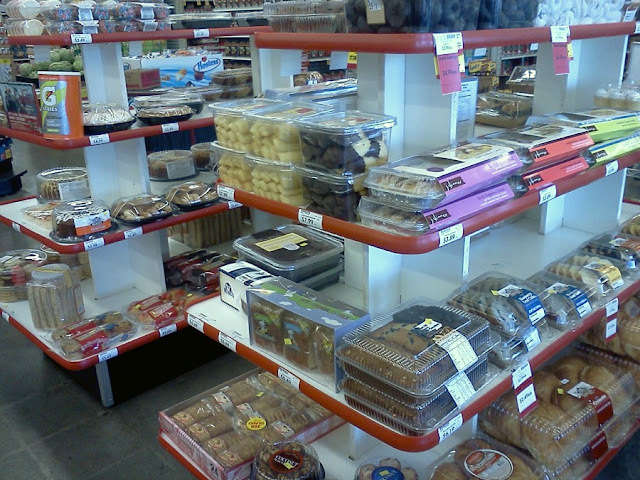 Look at all their bakery items to choose from, especially a lot of First Street products! There were so many that it was actually a tough choice on what to get. I brought my Mom and daughter, Bella, along with me. I let Bella pick out the sweets. 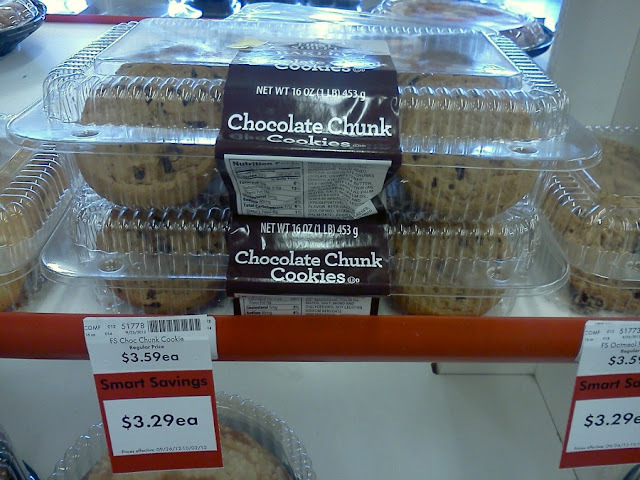 She picked these cookies. She also picked a chocolate bundt cake! She is definitely a chocoholic like her Grandma & Mom. 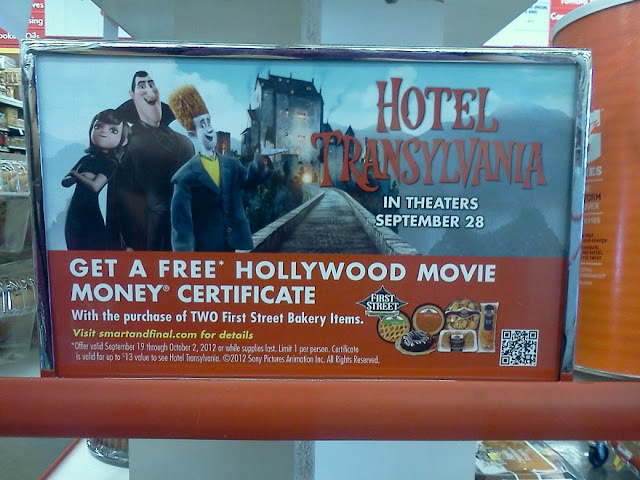 On the end of the bakery display there was a sign for the Hotel Transylvania movie. 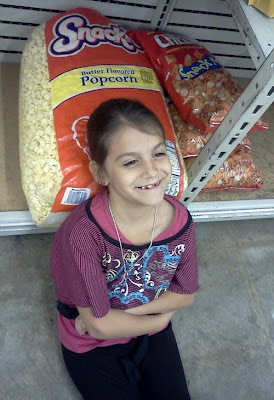 After getting our bakery items we walked over to the party supplies to check it out. 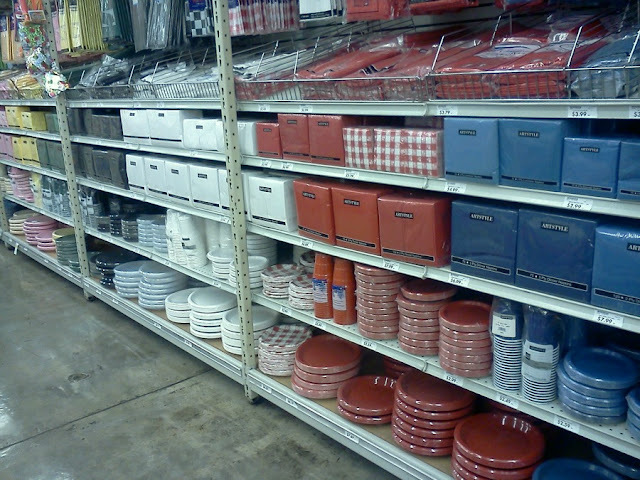 There were so many colors to choose from. I like that they have such a variety of sizes and colors, not many stores carry as much as Smart & Final does. We went on to grab a couple more things and Bella showed me she was tired by laying on a popcorn pillow. I told her she was silly and finished shopping pretty quick. 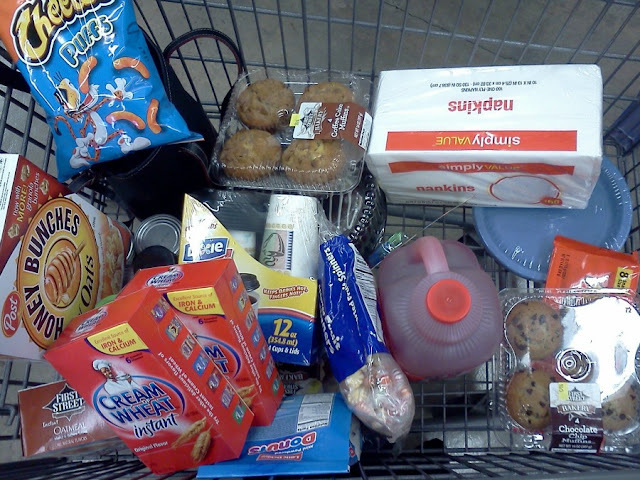 We were finally done and we had a pretty full grocery cart too. Go here to see my whole shopping trip. 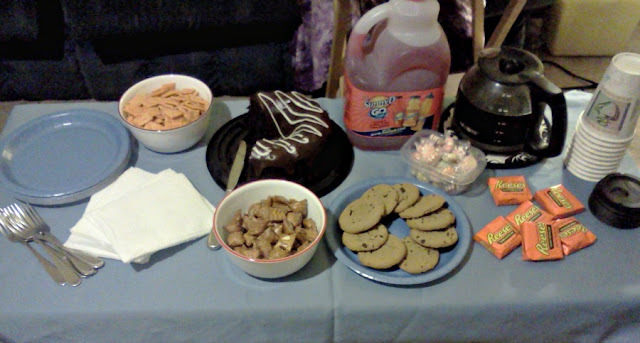 We got home and relaxed for a bit then I set up for our Hotel Transylvania party. There ended up just being our family, we had a family situation so not everyone could be home for our little shindig. Once I was home I went online to enter my special code to receive my free ticket to Hotel Transylvania. It was pretty easy to do too. We are going to watch Hotel Transylvania on October 1st and then again in a couple weeks since we couldn't all be together. Here was my party set-up. Everything was really good. Now I am going to start planning for Halloween and I am even thinking about throwing a Halloween party. We'll see though because throwing a party is a lot of work. 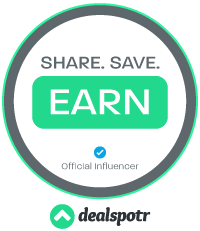 You can follow Smart & Final on Twitter, Facebook , Community site and on their website.